In this Rock Nutrients Resinator Test Review the ability of a liquid crop fertilizer supplement to increase resin content in common resin producing plants was trialled, documented and submitted for review to the California Department of Food and Agriculture for product labelling purposes. 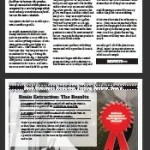 To determine if Rock Nutrients crop fertilizer supplement “Resinator” (RSN8) treatments can increase the essential oil content in Scotch Spearmint versus Untreated Scotch Spearmint in a side by side controlled growing environment study when applied as per stated directions on product label. 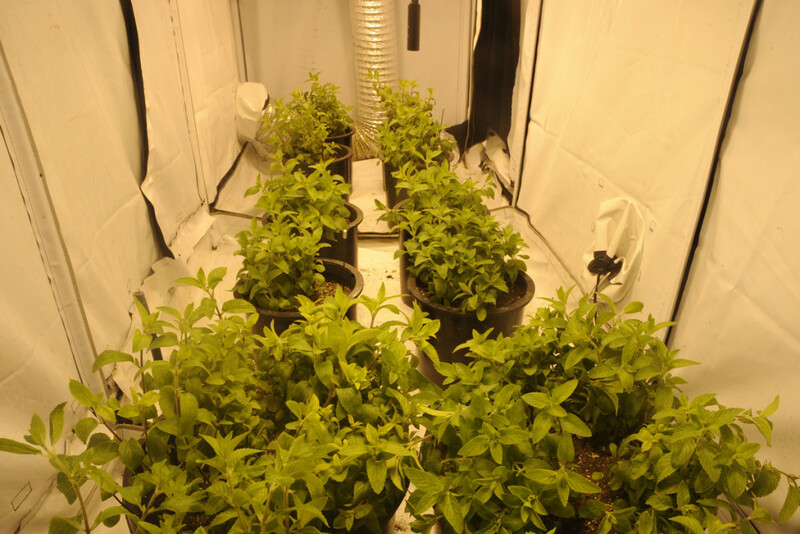 The first step in the process is growing two nearly identical crops of Scotch Spearmint (commercial asexually propagated rootstock obtained from Richeter Herbs, Ontario, Canada) in a controlled indoor growing environment that operates independently of external conditions and utilizes HID (High Intensity Discharge) grow lights to control light duration and intensity. 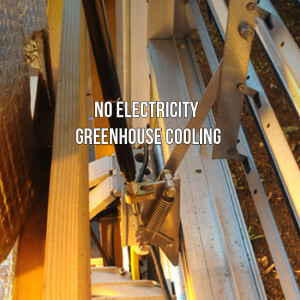 The growing environment is controlled for temperature, humidity and co2 levels. 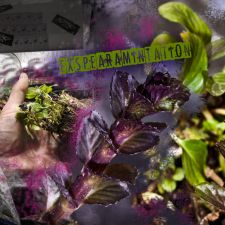 All plants in the study, and replications of TEST (Resinator) and CONTROL (NO Resinator). 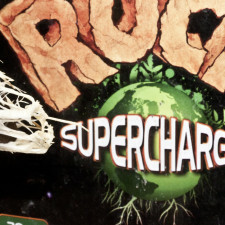 The ONLY difference in the treatments of the TEST vs CONTROL plants through the entire study grow trial is that the TEST plants will receive additions of Rock “Resinator (RSN8) as per product label, in conjunction of regular feedings (as noted in grow journal study provided) with Rock Nutrients Fusion Grow (one part liquid plant fertilizer concentrate, diluted in waterings) for the vegetative stage of growth-along with applications of Rock Nutrients “Supercharge”-as noted in grow journal study. During the flowering or “bloom” phase of the crop, Rock Nutrients Fusion Bloom (one part liquid plant fertilizer concentrate, diluted in waterings) is applied to all plants in the study as per label directions, or as noted in grow journal study provided. The TEST plants, as indicated in the grow journal study, received identical feedings, with the exception that Rock Nutrients Resinator was added to the fertigation of the TEST plants in the study. At final transplant, prior to initiating the Bloom phase by increasing the duration of the uninterrupted dark cycle (as noted in grow journal study), BOTH Test and Control treatment plants are further divided into group (4 plants per 10 gallon container) and single plantings (one plant per 5 gallon container). 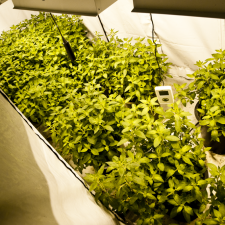 An equal number of plants and replications was created and placed alternately in the even light and temperature grid created inside of the 4′ X 12′ X 7′-6” tall Homebox growing enclosure-as noted and photos demonstrate in grow journal study. NOTE: TEST plants in both Group and Single planting replications are indicated with a 12” long marker stake. Plants will receive identical waterings, care and treatments with exception of Rock Nutrients Resinator until mature and harvested. All plants harvested in identical fashion on the same harvest date-as noted in the grow journal study accompanied with this submission, and received equal drying and curing conditions, as noted in the HARVEST section of this submission. Scotch Spearmint plants harvested, dried and cured as per the Cultivation outline and methodology above will be subjected to identical Direct Steam Distillation Essential Oil Extraction procedures in the same Distillation Apparatus (2L Bioflask Model via “HeartMagic”-see MATERIALS). 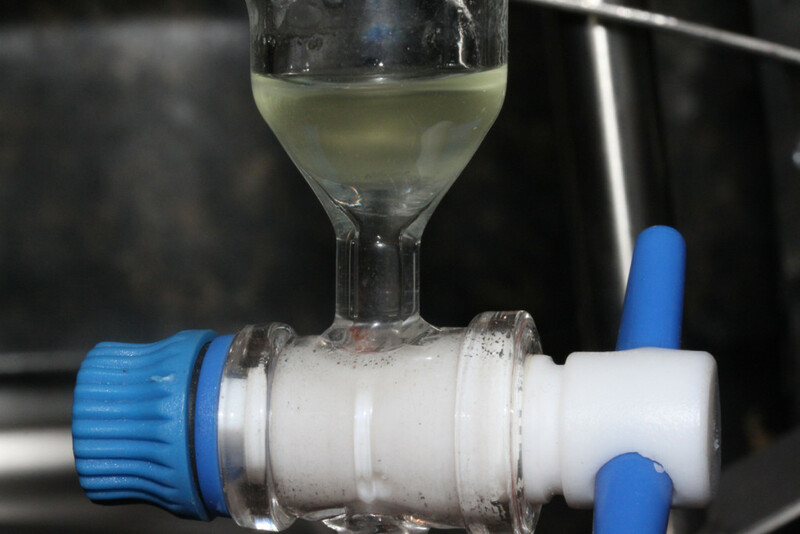 The essential oil yields that results from identical essential oil extraction procedures with the identical direct steam distillation apparatus versus TEST and CONTROL plant material will be compared in both volumetric and mass analysis to determine if there was any increase in plant resins and essential oils from regular applications of Rock Nutrients Resinator fertilizer supplement, as per label directions and as noted in the grow journal study included with this submission. An activated carbon filter run constant inline with the air handling system to promote healthy air that is free of dust and contaminants in the grow chamber at final transplant. Air circulation is provided constant with fans and air handling system.